in school and in their communities. 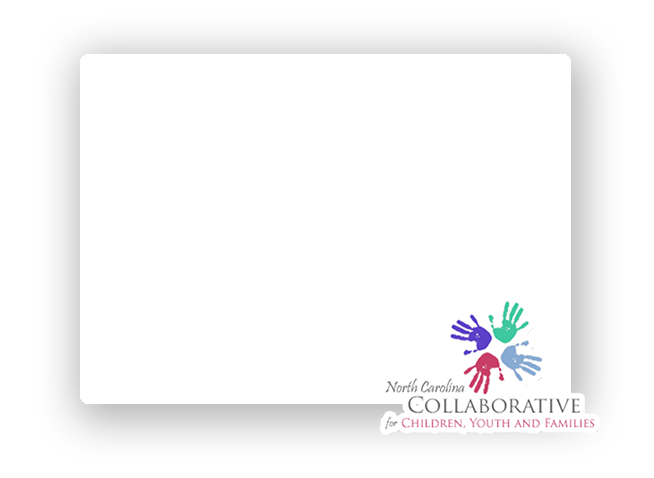 The North Carolina State Collaborative for Children, Youth, and Families, through a System of Care framework, provides a forum for collaboration, advocacy and action among families, public and private child and family serving agencies and community partners to improve outcomes for all children, youth and families. We provide a forum for the discussion of issues regarding how agencies, youth and families can work together to produce better outcomes for children, youth and families a “place” where decision makers from agencies can come to work collaboratively to better meet the needs of children, youth and families. Many children have a variety of physical, mental, social, emotional, educational, and developmental needs. A System of Care framework is used to provide the necessary services to these children. Collaborative meetings are held monthly on the 2nd and 4th Fridays from 10am-12 noon unless otherwise notified. Please plan to arrive on time. Parking is free and near the building. We are pleased to offer a full-range of high-quality online courses in System of Care and Child and Family Teams. These courses will empower you to improve outcomes for youth and families.